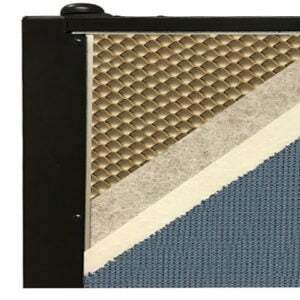 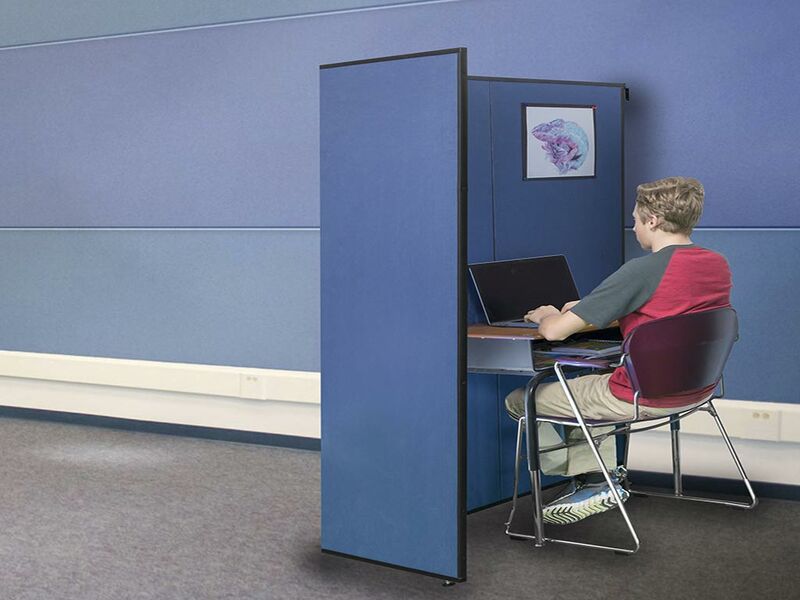 Screenflex brings you the quality and versatility expected from all Screenflex dividers in a wall mounted Study Carrel. 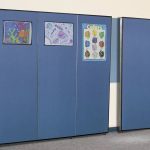 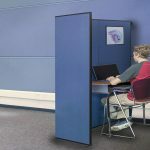 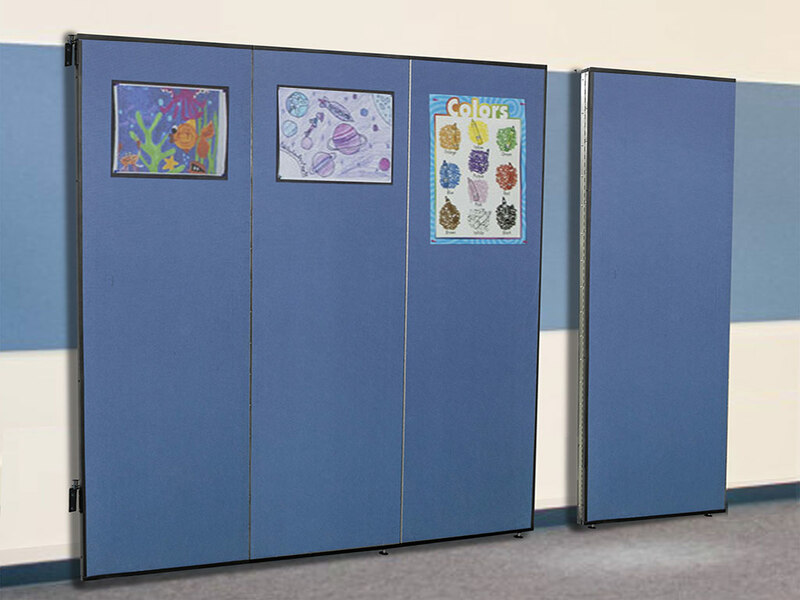 The new Screenflex Study Carrels are an effective solution to modifying any space for instant distraction free privacy for testing, small group meetings, Additionally, the panels absorb ambient noise that dampens audible distractions as well. 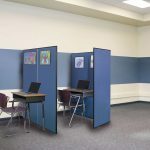 The panels easily transition from flat against the wall, an L-shape for a private space, or fold to the Left or Right against the wall depending on the orientation chosen when ordering. 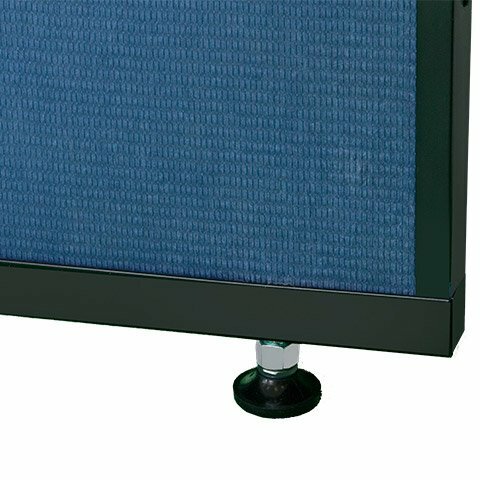 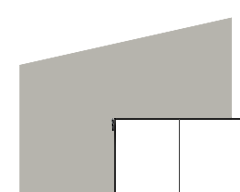 Adjustable glides keep the Carrels level on uneven surfaces. 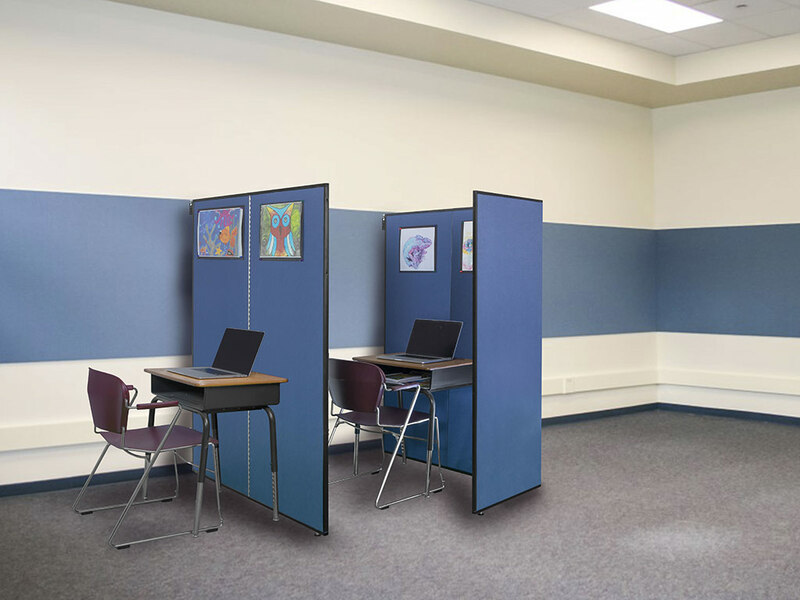 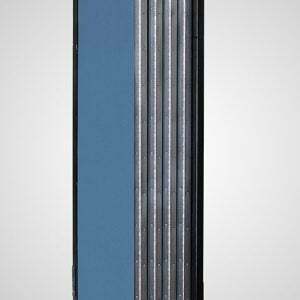 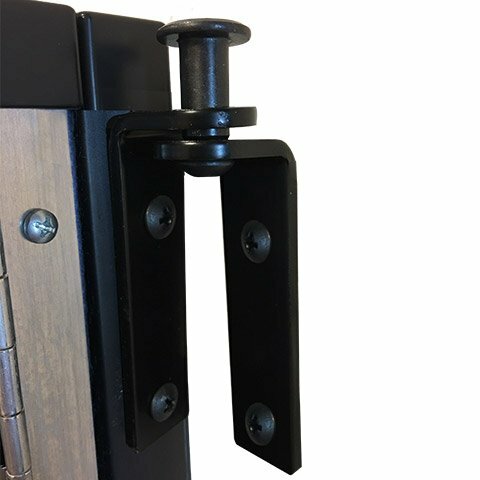 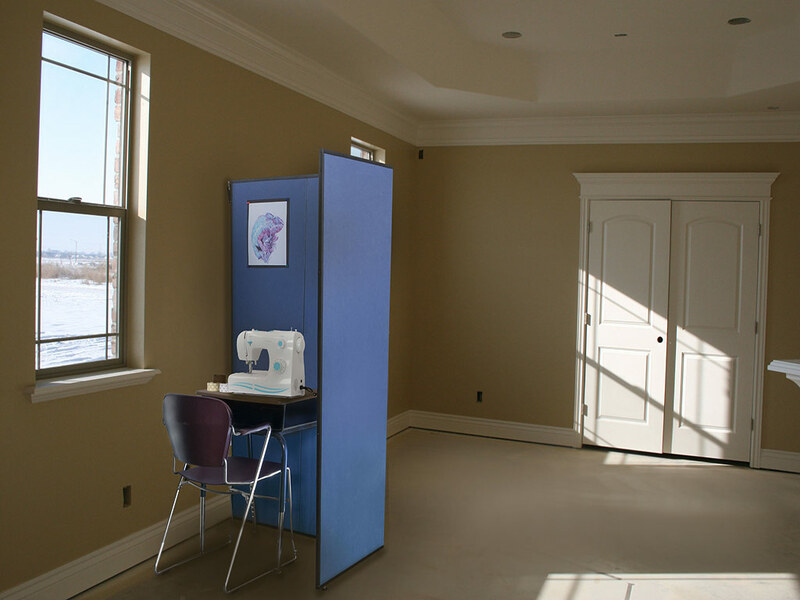 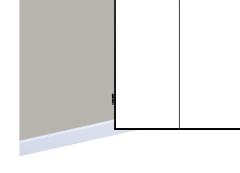 Reinforced wall hinges ensure stability and ease of movement.